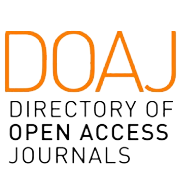 All articles submitted to this journal must follow focus and scope, and author guidelines of this journal. The submitted manuscripts must address scientific merit or novelty appropriate to the focus and scope. All manuscripts must be free from plagiarism contents. All authors are suggested to use plagiarism detection softaware to do the similarity checking. The research article submitted to this online journal will be peer-reviewed at least 2 (two) or more expert reviewers. The reviewers will give scientific comments on the contents of the manuscript. Final decision of articles acceptance will be made by Editors according to reviewers comments. Plagiarism detection of articles in this journal is carried out by using Turnitin software.